Paris Saint-Germain's all-time top goalscorer, Edinson Cavani, is undergoing tests to determine whether he can play against Manchester United in Tuesday's Champions League clash. 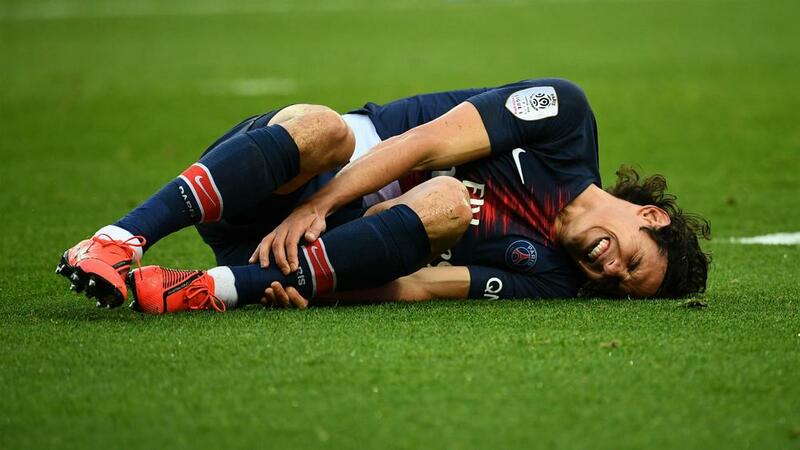 The striker scored from the penalty spot in Saturday's 1-0 Ligue 1 win over Bordeaux but was unable to appear for the second half after sustaining what is reported to be a thigh problem. "There's no good news for Edi this morning. He had some tests and there will be more to come," he told Telefoot. "My feeling is that it's going to be very difficult for him to play. We have to wait a little bit more, but the club will communicate on this later today. I think the news will not be very good. "[There is a] very small hope, but the first tests were not good." However, Tuchel says the Italy international is eager to play a part. "Marco Verratti wants to play but he only played 60 minutes once," he said. "We have to think it over with the physio, the doctor and Marco. He can play and he will play."